Another favorite product from NAHBS. Not much need be said here. Brilliant, elegant and practical too. 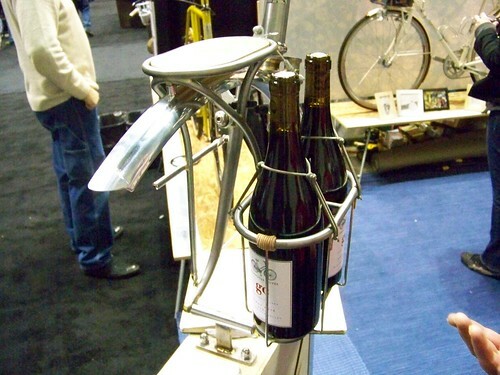 I'm sure it holds water bottles or even nalgene bottles as well as it holds wine bottles, though if I was to use it I'd certainly have a bottle of wine on it as well. 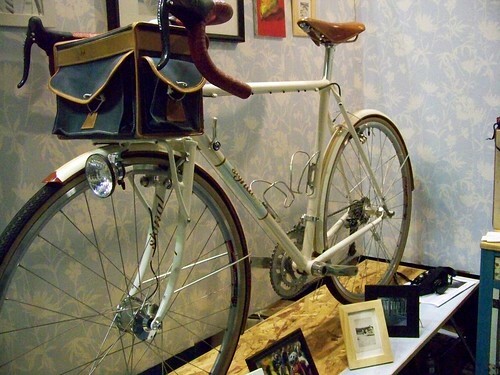 My one comment as to the practicality of this is it could stand to have the ability to mount a pannier bag on the right and the top of the rack while big enough for a bag lacks any mount point or verticle support. But heh, why split hairs. It's absolutely beautiful.